Share Cart allows customers to share their shopping carts with friends and family. It helps expand the supply of product information through a customer without much effort on your part. Promoting your products through customers is the best marketing campaign because you know, people usually trust the suggestions from their friends and relatives. With the help of this module, we believe you can surely increase your sales and profitability, bringing your products closer to consumers. All are included in Mageplaza Share Cart extension. 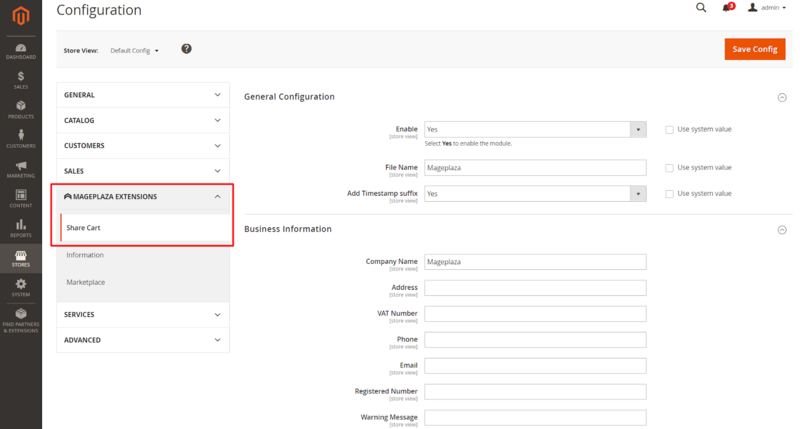 From the Admin Panel, go to Store > Settings > Configuration > Mageplaza Extensions > Share Cart > Configuration, choose General Configuration section. Enable: Choose Yes to enable this module. If the module enables, all features will work as usual. If not, all options on the user interface and the module will not work. Add Timestamp suffix: Select Yes to display current time when uploading PDF documents. Address: Enter your company address. VAT Number: Enter your company’s VAT information. Email: Enter the email address. Registered Number: Enter your company registration number. 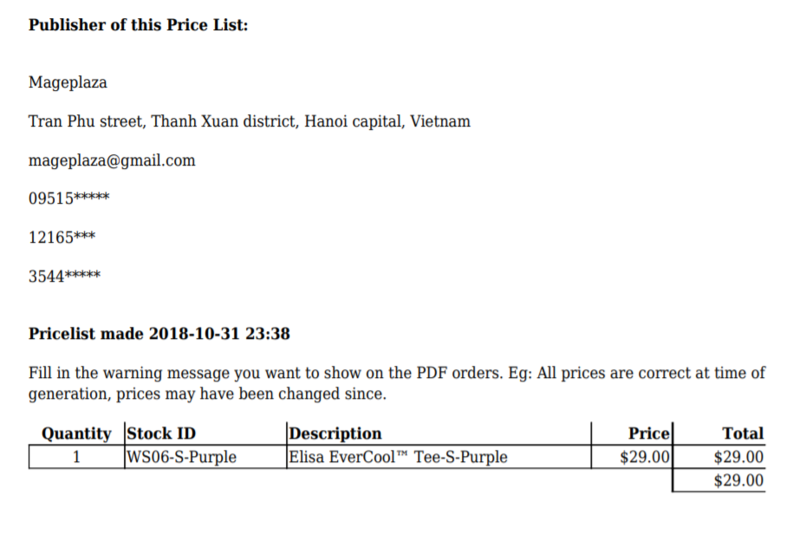 Warning Message: Fill in the warning message you want to show on PDF orders. Eg: All prices are correct at time of generation, prices may have been changed since. 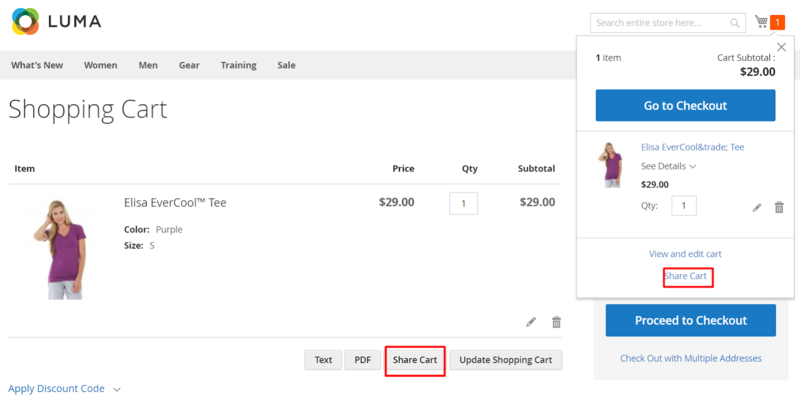 After enabling the module, customers can use the Share Cart button to send the URL to others sharing their shopping cart. 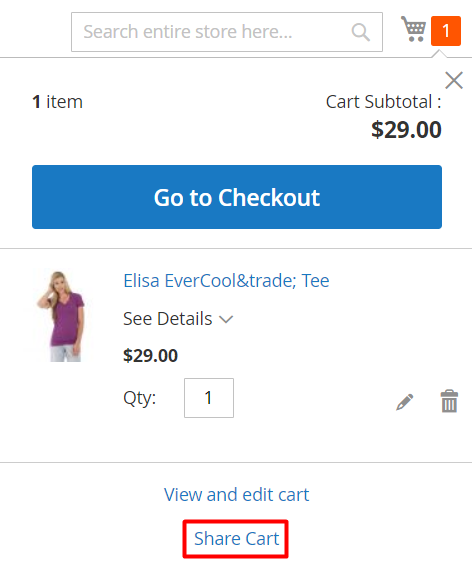 After sharing, using the shared URL, it will automatically add the product to the shopping cart of the person whom the customer has sent.